Ignite has gone through many changes over the years. It was way too powerful when “double-dipping” was still a thing, then it got nerfed to the ground. After several tweaks and balance changes the Ignite mechanic can be built around once again. With an Ignite build you should focus on dealing a single huge fire hit that will inflict a great Ignite effect. For this particular build we choose to go with Fireball for several reasons. The skill has great base damage, the gem gives up to 88% more damage with Ignite and it also has implicit chance to Ignite. The vaal version of the skill also boosts the clear speed of the build exponentially. The Ignite Fireball Elementalist is a non-critical build, which allows it to take advantage of the very strong Elemental Overload keystone on the passive skill tree. The Elementalist ascendancy also takes care of proliferating Ignites in an area via Beacon of Ruin, which allows us to cover great area with a single cast of Fireball. When it comes to endgame potential, the build can achieve over 150k Ignites per second, along with 7k+ life. The Ignite Fireball Elementalist also specializes in heavily reducing enemies’ fire resistances. This is achieved by combining Elemental Equilibrium, Mastermind of Discord, Curse On Hit Support setup, Scorching Ray totems, the Fire Penetration Support and Combustion Support gems and the The Wise Oak unique flask. This can potentially result in more than 190% Fire Resistance reduction. Although it is very situational and you will rarely reduce enemies’ resistances by this huge amount. The build’s damage is heavily augmented by The Searing Touch unique staff. This allows us to run our 6-Link in the weapon and have Kaom's Heart as a body armour. If you want to improve your clear speed, Voidwalker can be used in order to Pierce enemies. Other items can be well rolled rares, there is room for improvisation. Offensively, your goal is to Ignite a pack of monsters, which will die shortly after. For tougher rares and bosses you can drop down Storm Brand, which will lower enemies’ elemental resistances by a great deal via the Elemental Equilibrium keystone and Curse on Hit gem setup. This skill will also trigger Elemental Overload, increasing your damage even further. Scorching Ray totems can be used to reduce enemies’ fire resistance even further. Flame Dash will allow you to move around quickly. Defensively, Acrobatics and Phase Acrobatics are your main source of defence. Great life pool will eventually be achieved, once you get into late game and gear up a bit. For Playstyle, most of the time you will burn down enemies without worrying about dropping down additional skills like totems and Storm Brand. Once your Vaal Fireball is filled up, you should cast it and start moving forward with Flame Dash, this will allow you to clear zones very fast. Keep your distance from melee monster and try to not take unnecessary damage since you do not have great physical damage mitigation. Shaper of Desolation will allow you to utilize not just Ignite, but all elemental ailments in certain situations. Beacon of Ruin provides the very important elemental proliferation, which will allow your elemental ailments to be passed to whole monster packs instead of just the ones that get hit, the 20% Ignite damage multiplier is also very handy. Pendulum of Destruction will improve your damage and clear speed based on the timer of the ability. 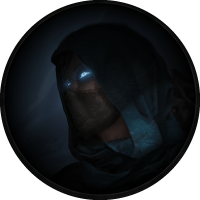 Mastermind of Discord will augment Herald of Ash by a great deal , while also providing you additional 25% Fire Penetration. Here is what your endgame passive skill tree should look like. We manage to achieve 180%+ Increased Maximum Life, which is very respectable for a life-based caster build. Acrobatics and Phase Acrobatics will improve your survivability by a considerable amount. For damage, we also pick a lot of fire and burning damage nodes. When it comes to passive skill tree pathing, this depends on what skill you choose to level with. Ignite needs some investment before it becomes reliable, this is why levelling as an Ignite Fireball build might not be the greatest idea, but still can be done. If you choose to do so, you should pick up Blast Radius first, then head to Cruel Preparation, Breath of Flames and Heart of Flame. After that you should pick damage or life depending on your gear. Considering the build is not critical-based, we choose to kill all bandits for the 2 passive skill tree points. There is no better choice for the build when it comes to the Act II Deal with the Bandits quest. Major: All major gods are beneficial to the build and can be used. We recommend using Soul of Solaris, when fully upgraded, as this Pantheon power provides a solid amount of defence. Capture The Gorgon in Sulphur Vents Map, The Infernal King in Caldera Map and Jorus, Sky’s Edge in Temple Map in order to fully upgrade the Pantheon power. Minor: Same as major gods, minors are all useful too. We recommend using Soul of Ryslatha. Capture Gorulis, Will-Thief in Infested Valley Map in order to upgrade the Pantheon power. Vaal Fireball is the build’s main skill, which should ideally be used in a 6-Link. For mobility, use Flame Dash. Storm Brand is used as utility skill in order to trigger Elemental Equilibrium, Elemental Overload and a Curse on Hit. Scorching Ray totems can be used to lower enemies’ fire resistance even further. Vaal Fireball is your signature skill, it is used in order to inflict very strong Ignites upon enemies. Use the regular version of the skill until you charge up the vaal version, then you can cast Vaal Fireball and rush forward as much as possible. Fireball should be socketed in The Searing Touch for the additional gem levels. We recommend one universal link that works for both clearing and single target. You can also try swapping Fire Penetration with Greater Multiple Projectiles for smoother clear speed. Storm Brand is used in order to trigger Elemental Overload frequently, along with lowering the enemies’ fire resistances by a great deal with the following link. Flame Dash is your main mobility skill, it will help you easily dodge lethal game mechanics. The following Scorching Ray link will summon totems that cast the skill in order to reduce enemis’ Fire Resistance by additional 24%. Anger and Herald of Ash should be active all the time. A Golem gem can be used based on personal preference. You will still have some free sockets if you want to improvise. Capping your elemental resistances is essential and it should always be your top priority in any build; it should be the first thing you do when gearing up a character. Obtaining a 6-link, while very powerful and certainly recommended, can potentially be very expensive (requiring an average of 1500 Orbs of Fusing, obviously depending on your luck); as such, this should not really be a goal for you while gearing up, and you should instead settle for a 5-link until you have enough resources. The Searing Touch is a relatively cheap unique staff that provides tons of damage for the build. Kaom's Heart will improve your survivability by a great deal. Voidwalker will smooth out your clear speed. The Wise Oak will improve single target damage potential by a decent amount, make sure your Fire Resistance is the highest. Rolling Flames can be used in order to improve Fireball’s Area of Effect even further. Using Divine Life Flask is mandatory for the build, ideally you would want to roll it half-instant with bleeding removal Suffix. Quicksilver Flask will improve your mobility by a great deal. The Wise Oak will help you penetrate more Fire Resistances, as long as your Fire Resistance is the higher than your Cold and Lightning resistance. For the other two flask slots you can improvise, we recommend using Basalt and Jade flasks for the additional defence. Make sure you roll Curse and Freeze immunity on utility flasks in order to prevent deaths from Strongboxes and maps with curses in general. There are no mandatory jewels for the build. Rolling Flames can be used for more area of effect on the explosion of Fireball. You can level with Fireball and rely on Ignite from the beginning, but it might feel clunky, since the Ignite mechanic scales well into late game. Tabula Rasa will carry you until you are able to wield The Searing Touch. This is the passive skill tree you should follow early on. First, you should head to Heart of Flame and Breath of Flames, then pick Explosive Impact and Purity of Flesh. After that pick Elemental Overload and the life and damage nodes near the Templar starting area. After that simply follow the endgame passive skill tree, we recommend heading to Elemental Equilibrium and the Scion life wheel first. As you begin a new character, there are few unique items that can boost your power exponentially. Tabula Rasa allows you to have a 6-Linked skill as early as you get the gems. Wanderlust gives a decent movement speed, which will make your leveling that much more efficient. Goldrim provides a lot of elemental resistances, this will let you worry less about gearing when approaching certain Act encounters. Lifesprig will boost your damage by a great deal early on. If you are a new player (or if this is your first character for the league), then note that obtaining these items will be very difficult, if not impossible. They are rare drops, which you can otherwise only acquire if you have saved up currency, so do not focus on them too much, and instead simply look for items that match the affix priorities listed in the gearing section above. At level 8, your Freezing Pulse link should look like this. At level 10, you should add Flame Dash for better mobility. At level 18, you can replace Freezing Pulse with Vaal Fireball. Add Herald of Ash for additional damage. At level 24, you should add Anger for more damage. At level 31, you can finally use all the support gems in your main link. What map mods are impossible to do? You will most likely one-shot yourself on Elemental Reflect. No regeneration maps will also be very hard to do and will force you to use a mana flask. Besides that everything else should be fine as long as you don’t have too many nasty mods on the same map. Why Elementalist and not Trickster? The Elementalist allows us to proliferate elemental ailments, and take advantage of Chill and Shock too. With the Trickster you will have to run Ignite Proliferation Support or invest into spreading Ignites in some other way. The Ignite Fireball Elementalist specializes in inflicting very strong damage over time burn effects on enemies. The build has some great endgame potential if heavily invested into. 08 Mar 2019 Updated passive skill trees. 06 Mar 2019 Revisited and updated for Synthesis 3.6. With recent changes, Fireball and Anger both got buffed, which makes the build stronger.